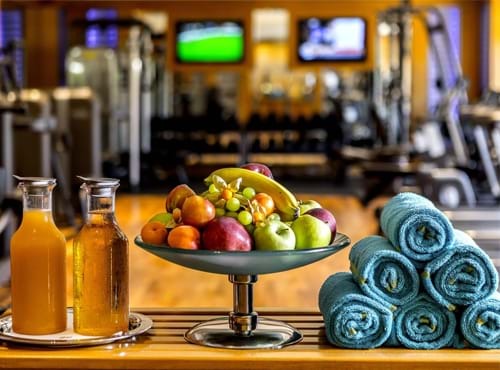 Our fully equipped gym with personal trainer is located on the Lower Ground Level next to the Shiseido Spa. Tailor made programmes by qualified trainers are available upon request. 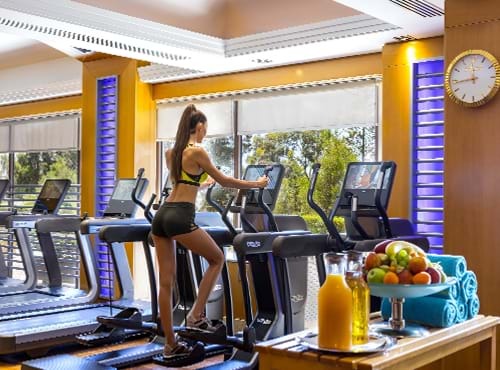 Le Club Actif, the hotels sports & leisure facility is one of the most up to date fitness venues in Limassol. 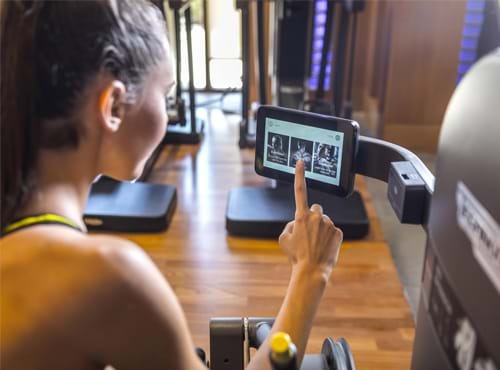 It offers a full range of “TechnoGym” equipment and a spacious and functional exercise studio. Open daily from 07:00hrs to 21:00hrs (during summer period) and 07:00hrs to 20:00hrs (during winter period). The Gymnasium is located on the Lower Ground Level next to the Shiseido Spa. Tailor made programmes by qualified trainers are available upon request.